We never wrote that book. And now she has taken the stories with her. When the man we shared – Jeannine’s brother, my husband – choked out a description early this morning of her final moments last night, our tears made a gully of the 900 miles between us. Into that salty stream waded a confession: But we were going to write a book together. It was a joke, really, one so long-standing it could have played on Broadway. My sister-in-law, the firstborn in a closely woven family of seven chidren, had only gotten as far as the title: Seven Layer Cake. Some in-laws are outliers, sure as shootin’. But not the women who have married into the Rowe family. My husband’s four sisters accepted me Day One as another sister. I never had to exhibit Good-Enough status. It was granted automatically. Even after forty years of having my photo hanging in the Rowgues’ Gallery, it still seems too good to be true. Plain, shy, and overly self-conscious when I met them in the 70’s, the Rowe family awed me a bit. Funny, gregarious, and giving, they were constantly joking about new love interests having to muster approval before being allowed into The Family. It was all bluster and banter, though, as the much-discussed gauntlet never appeared. Somehow every new family member got an A for acceptance without a test ever being given. And the leader of the pack? Jeannine, of course, the feisty firstborn. First to attend college. First to get a graduate degree. First to try every new craft the culture coughed up. She loved her daughters fiercely. Their husbands too. And the grandchildren? Her NOLA brood: Natalie Jean and Timothy James. Rebekah Lindsay and Bennett Winston. And the Pittsburgh tribe: Shana and Mathieu. Gracie and Isaac. A teacher by trade, Jeannine never stopped learning. With more sense than the rest of us, she moved south to a coastal community years ago. She loved the shore, adored the new friends she made in her photography club and computer classes. Was crazy about Downton Abbey. I can only imagine the expression on her face last night when she stepped onto that other shore. A lifelong photojournalist and scrapbooker (“Why didn’t I bring my camera to the ER? !” she joked), she was drawn to vibrant colors, intense fragrances, and diverse people. I can hear her now: Somebody fetch me a camera. It is gorgeous up here! You were always one to travel, Jeannine – always the first for new experiences. But we weren’t ready to let you be the first one to go. Your brother, my pastor, spoke to me tonight from the Psalms. He walked me through John 11. When Jesus learned that Lazarus died, he did what we’ve been doing. He wept. Someone said it plain this week: Jesus knew more than anyone that we can’t glory in the Resurrection without grieving the Crucifixion. And that’s what our family has walked through this Holy Week: a wild, howling, tearing away of one who has been part of us for so long we can’t imagine life without her. It’s not true that Nene’s heart stopped beating last night, we insist. A heart that big? A love that strong? Jeannine, you have not gone away. You have only gone before. Somehow you simply outran us in the quick race Home. But Natalie reminds us that you’re still here in her dramatic flair. Your love for all things NOLA lives on in Timothy. Bekah’s fashion sense and Bennett’s keen intelligence? There you are. Shana’s love for books, Mathieu’s ease with people, you again. Gracie and Isaac? Oh you are all over those two. Your family is living in the shadow of the crucifixion this week. Tomorrow’s Friday, but Sunday’s coming. And you know what, Jeannine? That book we were joshing about? We can still make it happen. 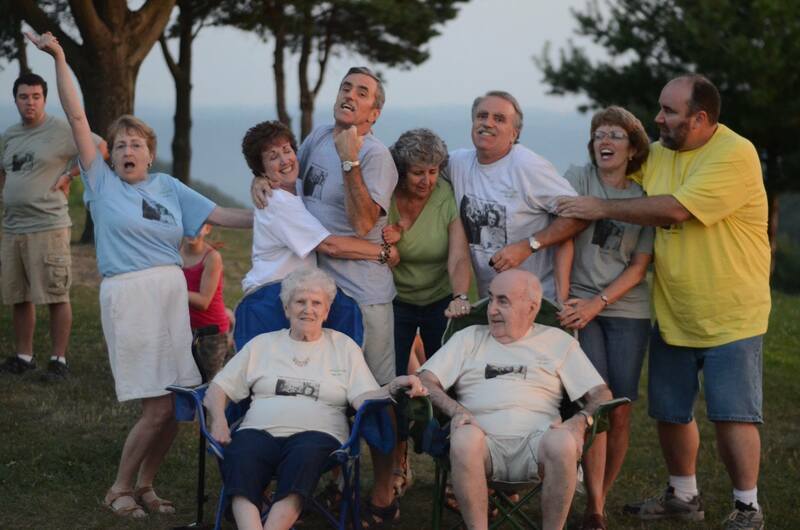 Because your stories live on in Karen and Brad, in Sara and Greg, and in those eight amazing grandchildren. And cross my heart, I’ll keep my vow and change all the names. Because remember what Lady Mary said to Lady Edith? We are sisters, and sisters have secrets. And because you and your siblings six are so woven together you are Seven Layers Still. It’s always amazing how losing someone can instigate a purposeful “re-calibration” of life. What’s important? What counts? What’s real? You outdid yourself in writing this life-giving/grieving post. (I look forward to your book.) Your reflection on Jeannine’s life is an inspiration to live more fully… more and more. Beautiful. You write so beautifully, Maggie. I am so very sorry for your huge loss, and extend my sincere sympathy to you and your entire family. May God bless you all. 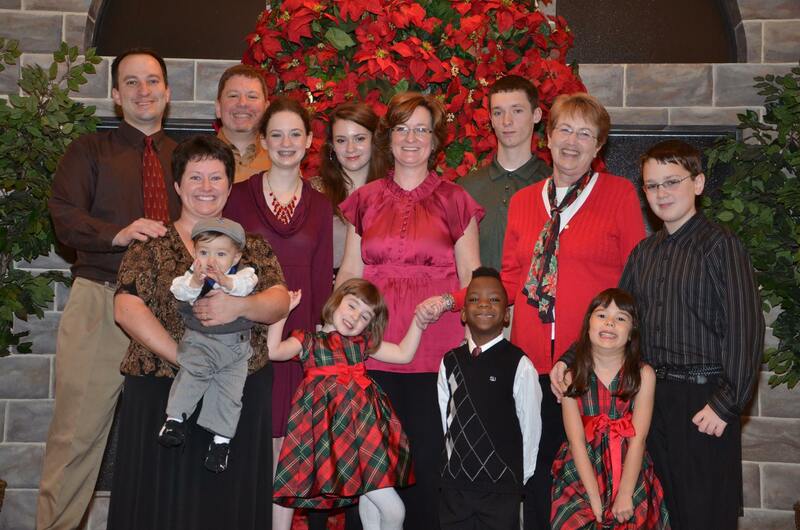 Thank you for sharing this precious peek into the Rowe Family. What a thrill to KNOW that she is now face to face with Jesus the Savior whom she loved and served. We grieve our losses but we rejoice in the gain of our loved ones who go before us to experience “The Great Hope within us” in Heaven. I know that those who grieve and rejoice are in transition but Jeannine’s transition is completed. Graduation Day has completed her work on earth. Those of you who loved her will one day be reunited with The Savior and sister you-all love. What a beautiful tribute to your sister-in-law, Maggie! Beautifully written! How proud the Rowe family must be to have you as part of them! Fabulous, Maggie, for a fabulous sister. What a beautiful tribute to a remarkable woman!!! What an amazing story of a beautiful woman written by a beautiful woman! Thank you for sharing special parts of Jeanine’s life along with her lovely family who will miss her so much. All of you will continue to be in my thoughts and prayers in the days ahead. No doubt Easter will have special meaning to you all this year. What a lovely tribute to someone I wish I had known but may now look forward to…Someday… You’ve graced my Good Friday with this piece. 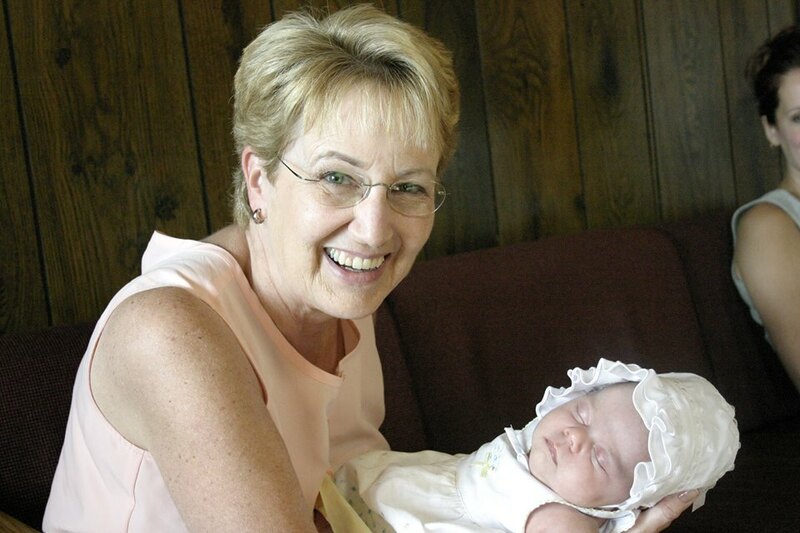 Thank you, Maggie, and may you and your vibrant family know God’s love and peace during this time of deep sorrow. What a beautiful tribute to Jeannine, Maggie. Maybe she’s working on her book now, with a gold-quilled pen in heaven. In any case, her stories live on through the people who love her still. So beautiful, Maggie. Many people long for the kind of family you described here. I’m so sorry for your loss, a woman so dear to you all, but what a lovely story she lived! Linda, what a perceptive comment. She did live a lovely story. She also endured some tremendous life challenges that are not mine to share, but they only increased my admiration for her strength. Thank you for your kindness and compassion. We moved to Sun City not quite four years ago and I joined the photography club. Jeannine was…without question…the sweetest and most gracious lady I have met here. It comes as no surprise that her life reflected Jesus Christ. Even those of us who were newer acquaintances feel the great loss. Don, it is so kind of you to write. I shared your comment with Jeannine’s daughters, Karen and Sara. We all miss her deeply, but are grateful that she had friends like you in the photography club during her Sun City years. They were happy ones for her. Jody, we are so grateful that Jeannine had friends like you at Sun City. My husband (her middle brother) felt the same way about her beautiful photographs of flowers. Even now he continues to say, “Oh Jeannine would love this!” We miss her deeply, but it comforts us to know she will not be forgotten in the community she enjoyed so much. I have shared your comment with her daughters, Karen and Sara.